Rare country setting on 20 acres in the town of Avon. 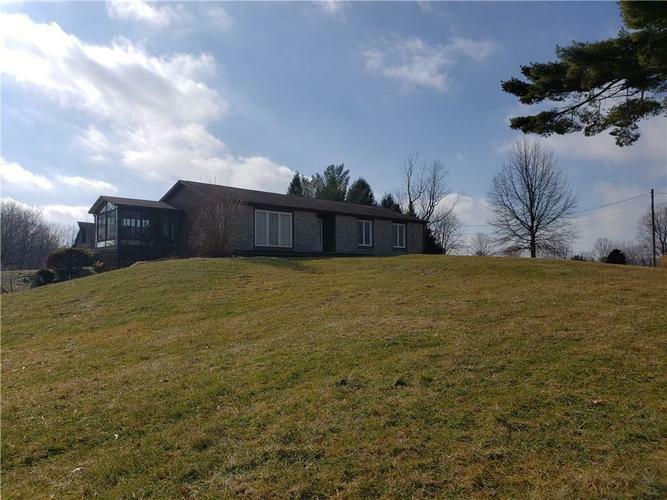 Property includes the perfect mix of tillable land, wide open fields, hills, a stocked pond and many walking trails through heavily wooded areas. The layout of the land would make a beautiful estate or could easily be separated into multiple parcels. The property includes a ranch home with three bedrooms on the main level and 1 bedroom in the finished walkout basement. There are three bathrooms and plenty of storage. A sunroom overlooks the yard where you can watch the plentiful wildlife. You will love the old barn that can be used for equipment storage or farm animals. Directions:West on US 36 to 267 (Avon Avenue). North on 267 to 10th Street. West on 10th street to 600 E (4 way stop) North on 600 E to "T". Left/West at "T" to home on left.